With the Big Kahuna Water Slide, you don't have to go to Hawaii to enjoy The Big Kahuna Slide. All ages, kids and adults will enjoy this slide so get out that swim suit that has been sitting in the drawer and put it on; that means dads and moms too. This bright, colorful slide features an exciting ripple in the middle of the slope. 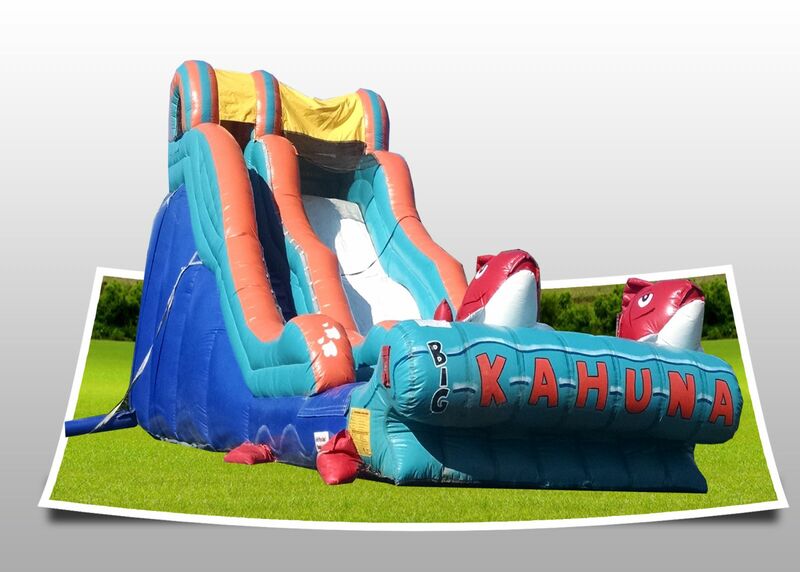 All ages will enjoy this, the perfect slide for a hot summer day. This slide will fit in most gymnasiums.